Invest in your Education! – Teacher Tip from Miss Natochin! 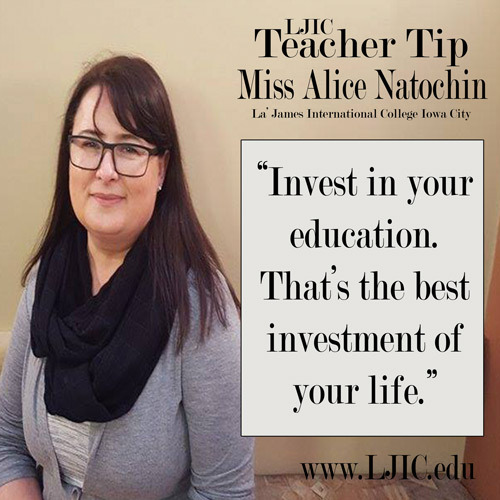 Thank you Miss Natochin for the great advice & for participating in today’s #LjicTeacherTip!